Is there a higher level of being? 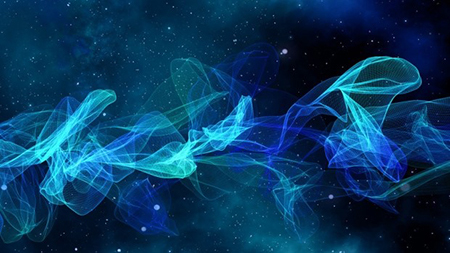 Or are we merely a collection of atoms — more dust spinning around the center of the galaxy? James Watson, who discovered the structure of DNA, once said: “You’ve got to be prepared sometimes to do some things that people say you’re not qualified to do,” and “Since you know you’re going to get into trouble, you ought to have someone to save you after you’re in deep s–––. So you better always have someone who believes in you.” For me, that someone was Eliot Stellar, Provost of the University of Pennsylvania, and Chair of the Human Rights Committee of the National Academy of Sciences. As a student scientist there seemed to be no purpose to the universe. There were no fountains of youth, no lost gardens to explore in far lands. Something was missing, both from my life and from the scientific books in the library. I was also concerned about the failure to use this available know-how to improve the human condition in large parts of the world. This feeling brought me in medical school to compile a book indicating suggestions for necessary changes, thus offering a multifaceted picture of where science stood and where it intended to go. I invited the Secretary General of the UN, the World Health Organization, and Nobel laureates, among others. The response was overwhelming, dispelling any doubt I had about the need for the book. And that was the problem. I sent the letters from my school mailbox, and the Dean’s office started to receive calls from the U.S. Surgeon General and others trying to locate me. The Dean of Students was convinced the project would fail and upset a lot of important people. But to my mind it wasn’t his concern. I said that in his office when he ordered me to send out letters to the contributors. When I refused, he told me I wouldn’t graduate if I didn’t comply. I told him I already got what I came there for — a medical education, not a piece of paper. When the conversation got heated, he said “I’ve never had a student talk to me like that.” I stood up (and finger pointed) responded “I find it difficult being in the presence of people like you. I’m talking to you as one human being to another.” He told me I’d better find a faculty member to defend me. So I went to Eliot Stellar. Eliot Stellar died in 1993, my mentor, and one of the greatest physiological psychologists ever to live, and arguably the most decent human being I ever met. This isn’t idle philosophy. Science, too, is beginning to grasp the non-linear nature of reality. Heisenberg, the Nobel physicist whose uncertainty principle transformed our understanding of the world, once commented: “Contemporary science, today more than at any previous time, has been forced by nature herself to pose again the question of the possibility of comprehending reality by mental processes.” Alas! The evidence has the weight of a boulder. Shall our vision forever flow around it? Experiment (PhysRevLett 49, 91, 1982) after experiment (Nature 459, 683, 2009) continues to show that entangled particles act as if there’s no space or time separating them, a result that’s intelligible only if we assume the mind transcends the existence of things in space and time. 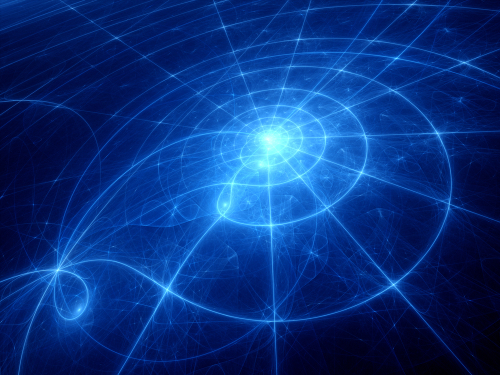 According to biocentrism, the mind transcends space and time in that they’re its tools, and not the other way around. This conception of reality dissolves away human individuality. “Sometimes,” said Thoreau, “as I drift idly on Walden Pond, I cease to live and begin to be.” The walls of space and time are illusory. We’re all ephemeral forms of an individuality greater than ourselves, eternal even when we die. This is the indispensable prelude to immortality, and its highest form; we’re forced to recall the words of the English poet John Donne, “Never send to know for whom the bell tolls; it tolls for thee,” and to understand them in a more scientific way. Years after graduating from medical school, I ran into the Dean in the hallway. He shook my hand and said, “As one human being to another” (referring to the day in his office). He congratulated me for my book “Medical Science and the Advancement of World Health,” which I dedicated to Eliot Stellar — who taught me that there’s more to life than the dance of atoms described in our science textbooks. I miss him. 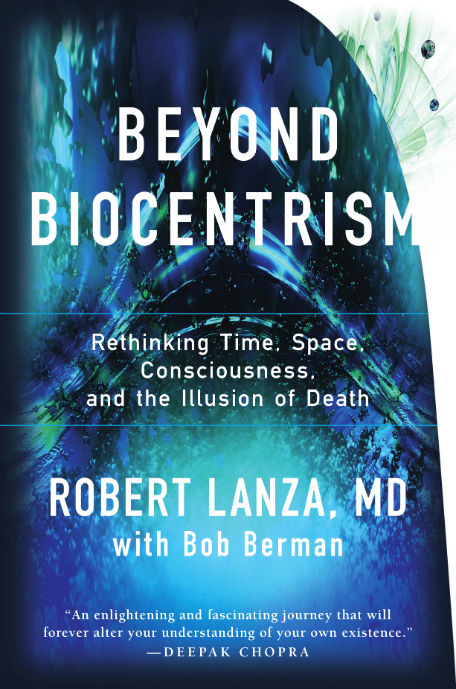 Biocentrism (BenBella Books) lays out Lanza’s theory of everything.